Former Donegal selector Maxi Curran believes home advantage will be the key to victory for the Ulster champions against Tyrone this weekend. Donegal welcome Tyrone to Ballybofey on Sunday, with an All-Ireland semi-final spot at stake. Tyrone were 1-21 to 1-12 victors when these sides met in last year's provincial decider but that match took place at St Tiernach's Park in Clones. Mickey Harte's men were also six-point winners when they clashed with Donegal in Division One of the National Football League on March 10, but that took place in Omagh. Curran believes playing Tyrone in Ballybofey is a huge advantage and could tip the balance in Donegal's favour. "It's going to be a monumental battle. We have had some great tussles with Tyrone in the last few years and thankfully in Ballybofey we have always come out on the right end of it," said Curran, who is joint manager of the Donegal ladies side with Damien Devaney. Donegal ladies have their own big game this weekend when they take on Armagh in the All-Ireland quarter-final. Curran, who was a selector alongside Rory Gallagher and also part of the county's backroom team under Jim McGuinness, believes Donegal have the ability to advance. He added: "Tyrone don't seem to like coming to Ballybofey. I know lots of commentators have said during the week that it will not be a feature but I think it's a massive advantage for Donegal to have a home match. "If you had given them the opportunity of being one game away from an All-Ireland semi-final, and that being a home game against Tyrone, at the start of the year, they would have taken your hand off for it. I'm sure they are very happy where they are." Donegal last won the All-Ireland in 2012 while Kerry secured a three-point win over them in the final four years ago. But with a first All-Ireland semi-final appearance since 2016 only 70 minutes away, Curran thinks Declan Bonner will be delighted with the scenario facing his team. "It's completely in their own hands. 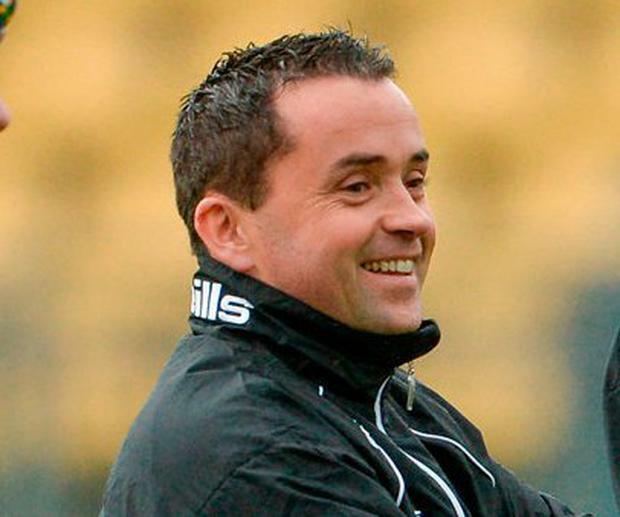 They have a home game against Tyrone and they have a really good chance of winning it," said Curran. "It will take a serious effort by Tyrone to get the better of them at the weekend. Fingers crossed it will all go well for Donegal."